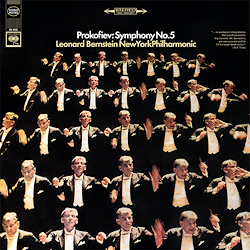 ﻿Prokofiev’s Symphony No. 5 is one of just a handful of traditional Russian works that have advanced to become a celebrated repertoire piece in the area of conflict between socialist artistic realism and conservative modernism. Although, in contrast to his colleague Shostakovich, Prokofiev toed the party line and was highly privileged, which made it very difficult to believe his later claim that his art was free of politics, his music has touched the hearts of concertgoers all over the world.